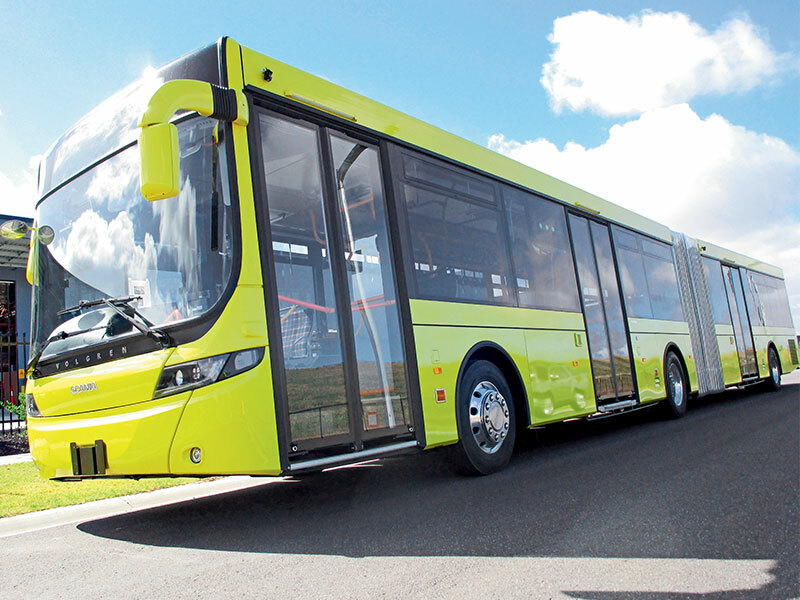 One such body builder that is seeing demand for articulated buses skyrocket is Volgren, which has its Australian manufacturing bases in Victoria, Western Australia and Queensland. With a raft of legislative changes designed to improve safety, Volgren CEO Peter Dale says a big focus for Volgren is on its continued compliance work to meet the latest Australian Design Rule requirements for double-decker vehicles, seatbelted seats and door-override functionality. Demand has shifted in terms of the type of bodies that Volgren is getting orders for this year, with articulated vehicles going through the roof, according to Dale. "This year we’ve experienced strong demand for articulated buses as operators look to tried and tested, higher-capacity vehicles," he says. "In 2017, Volgren has delivered articulated buses to PTA, Action Buses, Nowra and Brisbane City Council plus internationally to operators in Japan just to name a few." The organisation has reinvigorated its aftersales support department with that all-important force: people power. "A key part of Volgren’s competitive advantage is our aftersales service and ability to support our buses long after they leave the factory floor," Dale explains. "To this point, we’ve created two new roles [customer experience manager and major account manager in New South Wales] to improve levels of service and support customers through the lifecycle of our buses." While there have been a good number of Volgren deliveries to Australian bus and coach operators this year, there are a few that stand out. "We delivered a combination [Combo] articulated bus to Action in Canberra back in July, which was quite unique, and a series of complete low-floor articulated buses to Japan, which shipped in January," Dale reveals. The top-selling body for Volgren, however, remains the Optimus route bus that, according to Dale, is aimed at operators requiring a robust and reliable product for route services, and operators with a focus on low whole-of-life costs. "We are also developing a range of new products to meet the changing capacity and drivetrain demands of bus operators, so watch this space. Whilst enjoying solid national production volumes, Volgren will be delivering bodies on an array of the latest chassis, including Euro 6 emission-compliant and hybrid vehicles in the late stages of 2017 and into 2018. Bustech general manger and chief engineer Marc Cleave says the organisation is firmly focused on embracing the future of bus technology as evidenced by the production of, and continued refinements to, the Bustech ZDI electric bus. The ZDI is the latest type of body that Bustech is offering to Australian operators looking to build in 2017. As a body builder, there are a number of elements Bustech is focused on and doing differently this year. The organisation is now in the process of restructuring its manufacturing facilities in Australia to become digital, which will lead to an even higher and more consistent quality of build for every vehicle that comes off the line. Cleave says Bustech has experienced a solid increase in demand for its VST low-floor buses, particularly from operators in New South Wales this year. Two notable and unique bodies that Bustech built this year include a CDI model that was delivered to New Zealand and is now being used as part of a busy airport service that is provided by Skybus in Auckland, and a futuristic ZDI electric bus that was delivered to an operator in Adelaide. 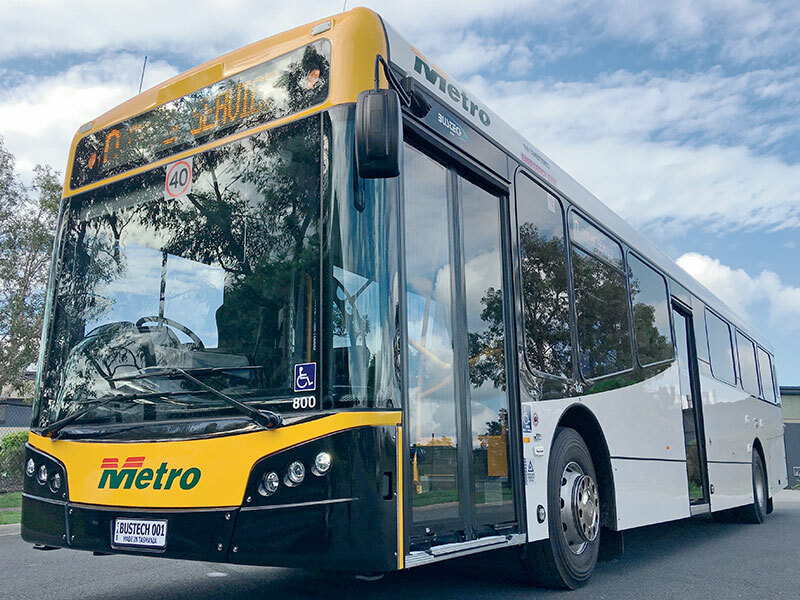 Transit Australia Group’s manufacturing arm Bustech also had a big win this year as it secured a contract to build 100 low-emission buses for Tasmania’s Metro network, as announced in April this year. The $45 million project marks the single biggest investment in public transport in Tasmania’s history. It was also the first time any Australian government has procured buses that are entirely made in Australia. Bustech is Australia’s only original equipment manufacturer (OEM), with each bus built using chassis designed, engineered and made in-house. The four-year project will create 40 new full-time jobs in Tasmania, including at least 24 jobs at Elphinstone and additional jobs throughout the local supply chain. The first wave of new buses in the Metro Tasmania fleet will be completed early next year. It is a similar formula Bustech applied in South Australia after forming a strategic partnership with Adelaide company Precision Components. The alliance secured a government grant supporting the build of environmentally friendly buses, including electric buses, for trial across Adelaide’s public transport network. Adding to Bustech’s primary plant in Queensland, this new venture has provided a significant lift to Bustech’s annual production capacity, boosting the company’s ability to supply national and international markets. All in all, it’s been a solid year for Bustech and it seems to be setting a good example of what can be achieved by forward-looking manufacturers in Australia that have an ability to deliver modern, longer-lasting vehicles.